"Goupil deserves the name of martyr not only because he has been murdered by the enemies of God and His Church while laboring in ardent charity for his neighbor, but most of all because he was killed for being at prayer and notably for making the Sign of the Cross." How many times a day do you use the phrase, “Mother of God”? If you pray the rosary, you use it over fifty times. If you pray the Hail Mary or Hail, Holy Queen, you use it at least once. If you attend daily Mass, you hear it used in each of the four main Eucharistic Prayers. Some people, sadly, use it as an exclamation. We probably use the phrase without giving it much thought. But, in the fifth century, a lot of thought went into that phrase. 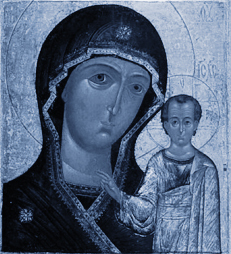 In fact, a great controversy arose over whether or not “Mother of God” (Θεοτόκος) was an appropriate title for Mary. A fellow named Nestorius went around teaching that the title was inappropriate, since Mary could only be the mother of the human part of Jesus. Thanks to the clear teaching of the Doctor of the Church commemorated every June 27th, Nestorius was refuted. Cyril of Alexandria, a very strong bishop, made it clear that Jesus does have two natures: one human, one divine. So He is fully God and fully man. But He is only one Person: a Divine Person. Mary, he taught, can only be said to be Mother of the whole Christ, so she is, therefore, the “Mother of God.” That teaching was defined formally at the Council of Ephesus in 431. Thanks to the clarity and strength of St. Cyril, we can lay claim to that title of Mary we love so much, because she is not just the Mother of the human Jesus, but the very “Mother of God.” Pray for us, O most holy Mother of God, that we may be made worthy of the promises of Christ!